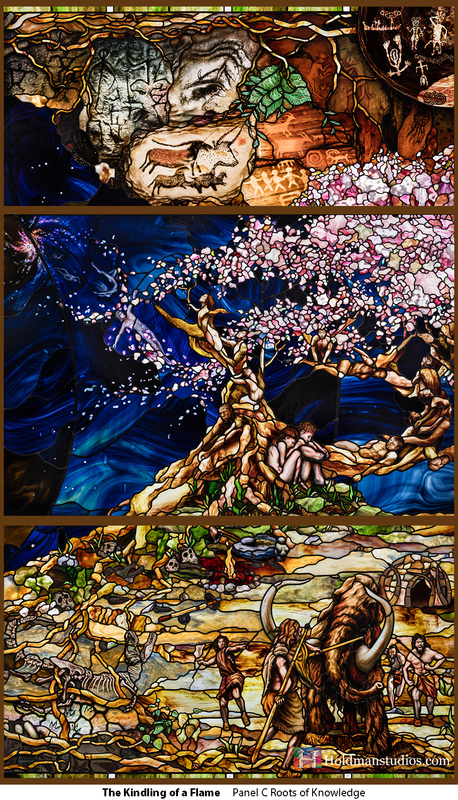 This beautiful stained glass masterpiece is an unprecedented work of art. 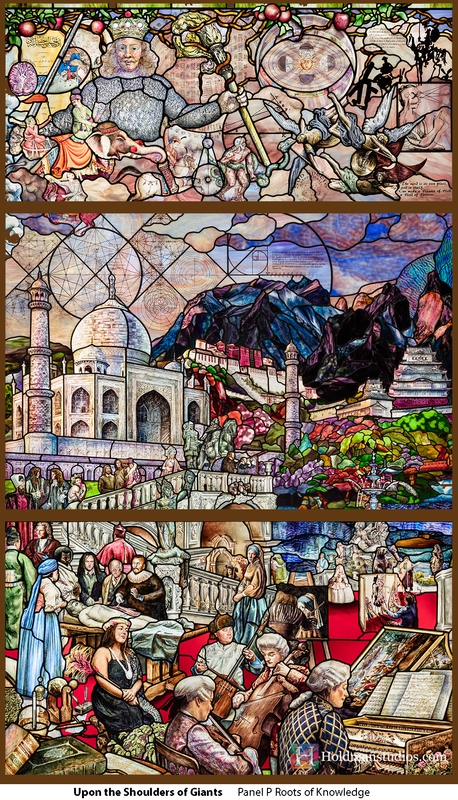 Now housed at the Utah Valley University library, privately funded and measuring 200 feet long and 10 feet high, it tells the story of humankind's most notable accomplishments. 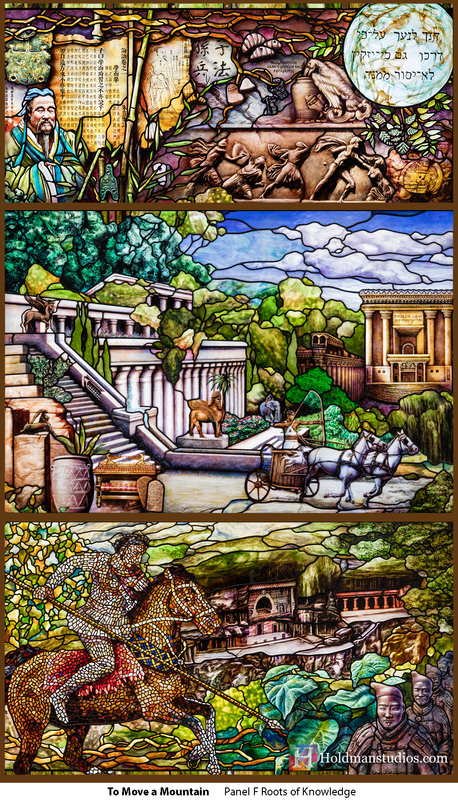 80 windows in all, each hand-painted with exquisite detail, by a team of artists. 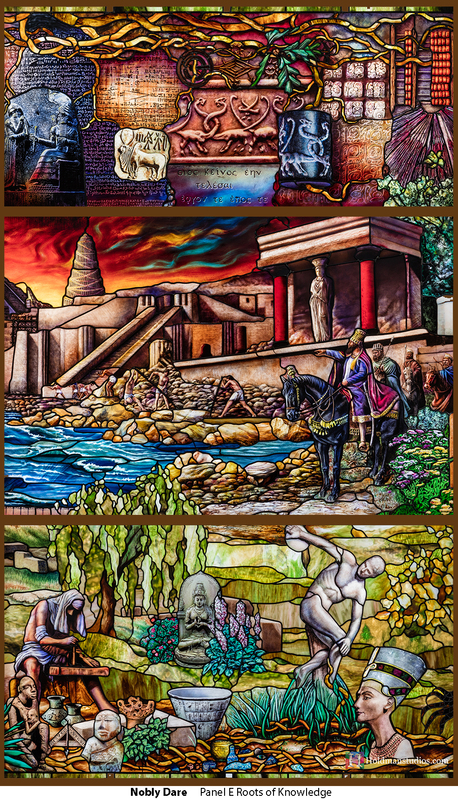 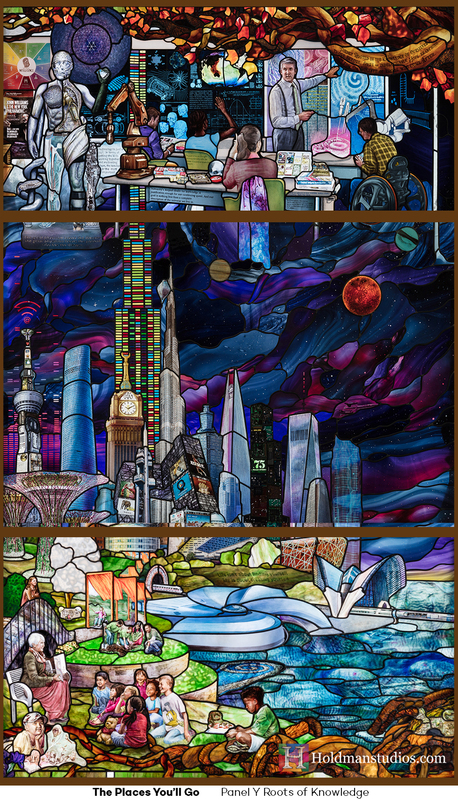 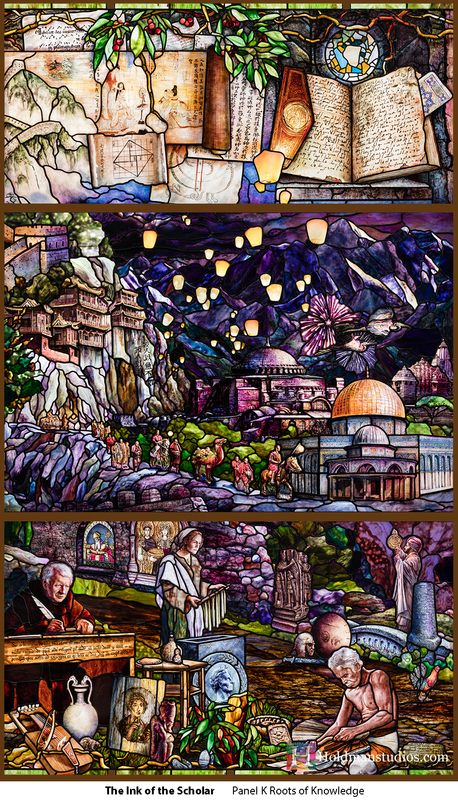 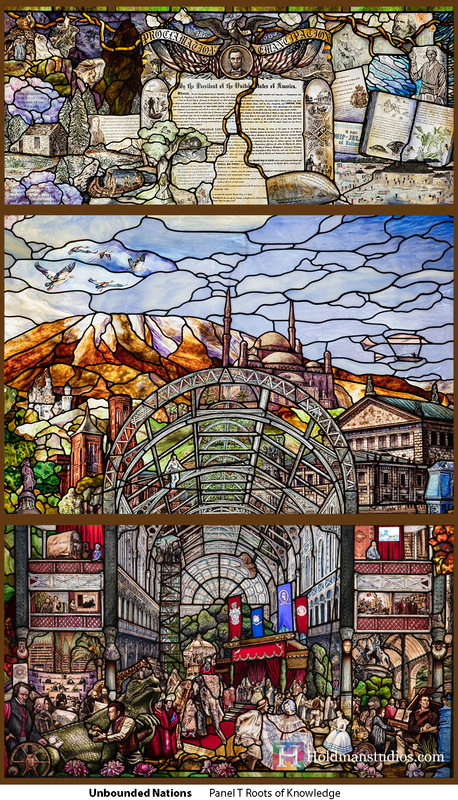 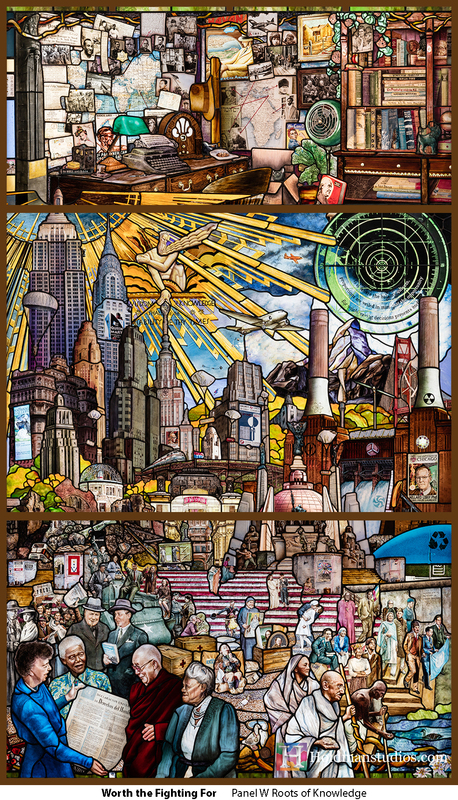 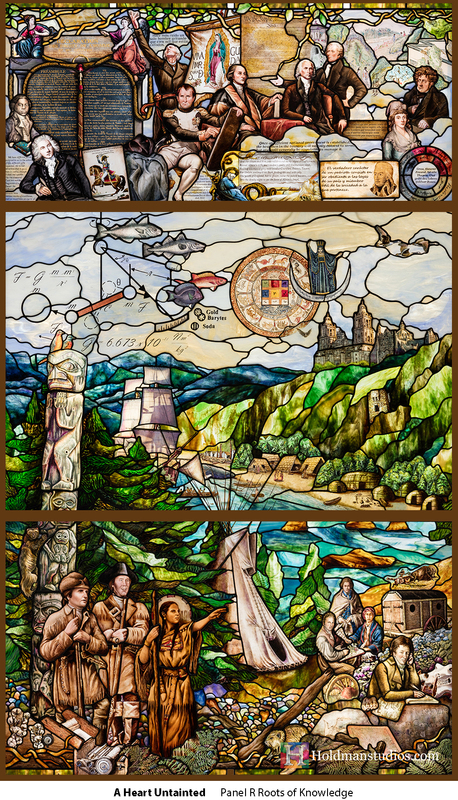 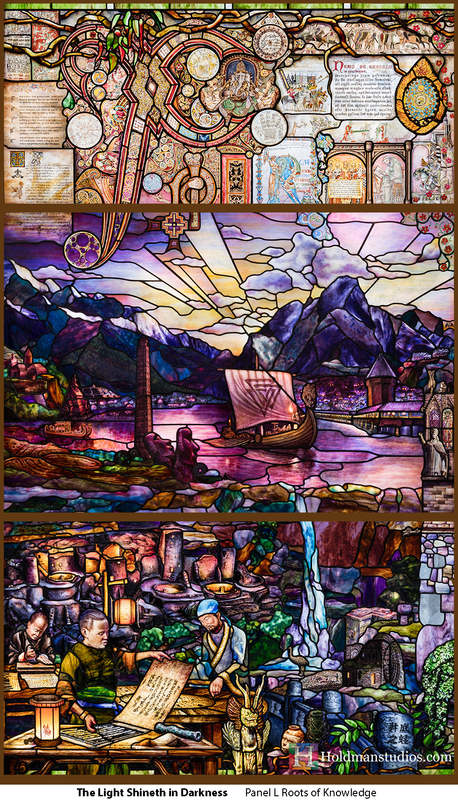 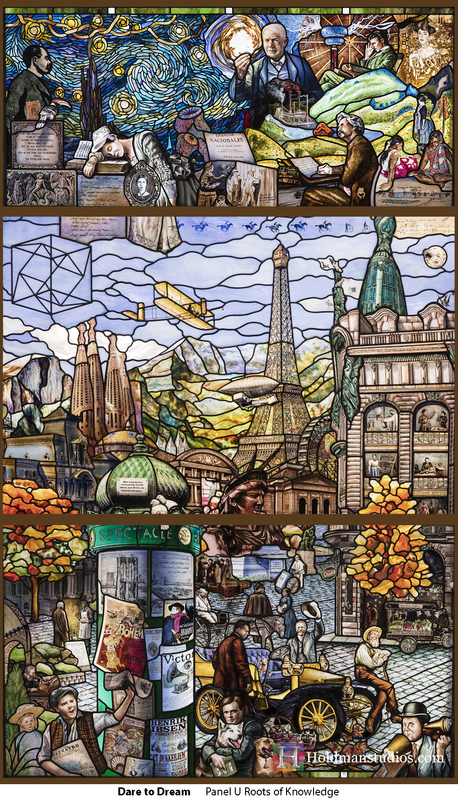 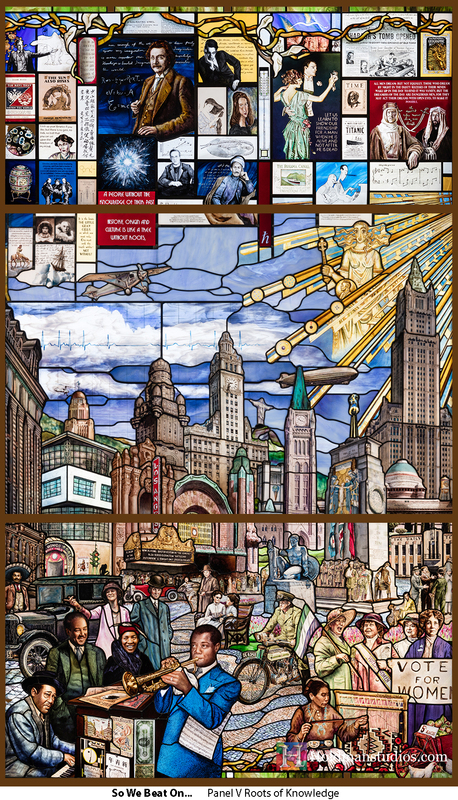 Under the direction of Tom Holdman, this installation combines the traditional stained glass methods with a modern twist of highly skilled painting resulting in a breath-taking masterpiece that is not only stunning to view, but is also a great educational tool. 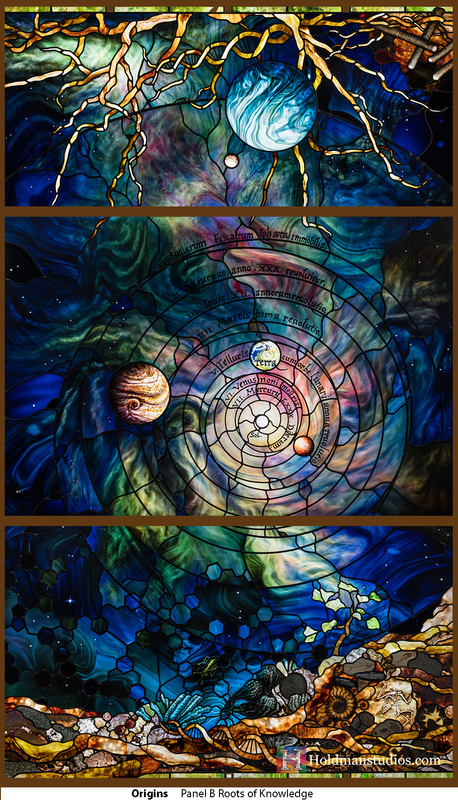 In considering the Roots of Knowledge project, no project is too large for the team at Holdman Studios to accomplish and do so meeting a specific deadline. 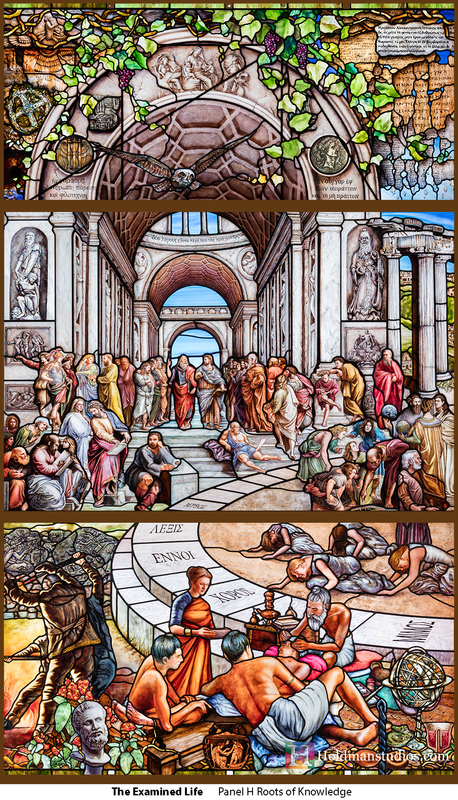 Click the images below to view the full panel.